This module is discontinued, with the last eligible students being admitted to the Faculty of Law by September 1, 2018, with the understanding that they must complete their requirements prior to September 2021. Effective October 2021, the module will be withdrawn. 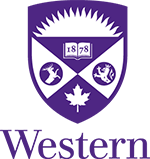 The combined Honors Specialization in Kinesiology-BA/JD program is administered on behalf of the Faculty of Health Sciences, School of Kinesiology and the Faculty of Law by the two Program Directors, one of whom is appointed by the School of Kinesiology and the other by the Faculty of Law. The combined program allows students to complete both the JD and BA Honors Specialization – Kinesiology degrees in six academic years instead of the seven years required if the degrees were taken separately. In Years One, Two and Three, students are registered in the Faculty of Health Sciences, School of Kinesiology. In Year Four, students are registered in the Faculty of Law. Students are registered in the combined program for Years Five and Six. Below is an outline of the combined program by year. The specifics may change as courses change in each Faculty. Meet the minimum LSAT requirement established by the Law School Admissions Committee. Meeting the minimum requirements does not guarantee a position in the combined program. Students applying to the combined program must submit a letter of intent to the Director of the School of Kinesiology by September 30 of the applicant's Third Year in Kinesiology. A separate application must also be submitted to the Faculty of Law in accordance with the submission deadlines advertised in the Western University Academic Calendar. Registration in Year One must be in the School of Kinesiology. Students enrol in Kinesiology 1080A/B, Kinesiology 1070A/B or the former Kinesiology 1088A/B, Physiology 1021 or equivalent plus three first-year designated courses selected from other Faculties/Programs. 2.0 courses: Kinesiology 2222A/B, Kinesiology 2230A/B, Kinesiology 2241A/B, Kinesiology 2298A/B (all must be taken in Year Two). 1.0 course from: Kinesiology 2900 - 2999, Kinesiology 3900 - 3999 (four Physical Activity quarter-courses or equivalent must be taken in Year Two). 3.0 courses from: Kinesiology 2236A/B, Kinesiology 2250A/B, Kinesiology 2263F/G, Kinesiology 3377F/G, Kinesiology 2292F/G, Kinesiology 3363A/B, Kinesiology 3362F/G, Kinesiology 3388A/B, Kinesiology 3390F/G, Kinesiology 3398F/G, Kinesiology 3399F/G, Kinesiology 3490F/G, Kinesiology 3457A/B. 1.0 course: Kinesiology non-activity based course. 0.5 course: Introductory Statistics (any level). 2.0 additional elective courses (non-Kinesiology and non-Law courses). Students must take first year Law. No courses outside of Law may be taken during this year. Students will take, as approved, required and elective courses from both the Faculty of Law and the School of Kinesiology. • 1.0 course: Kinesiology (non-activity based) from second, third or fourth year offerings or external elective. Note: All students must complete a Statistics course as a pre or co requisite to Kinesiology 2032A/B. Once admitted to the combined program, students must maintain a minimum year weighted average of 75% in their Kinesiology courses and a B- average in their Law courses. A student who fails to meet the combined program progression standards in any year must withdraw from the combined program. However, if that student has met the progression standards of either the Kinesiology or JD program, he or she will be allowed to proceed to the next year of that program. If that student has satisfied the progression standards of both individual programs, he or she may continue in either program and may petition the School or Faculty whose program was not selected for permission to complete that program at a later date. A student who is required to withdraw from the combined program and continues with either or both of the individual programs must complete all the degree requirements of the individual program or programs in order to graduate from that program or those programs. Students are considered for the Dean's Honor List in the School of Kinesiology in Years One, Two and Three. In Year Four, they are considered for the Dean's Honor List in the Faculty of Law. A student who takes Law courses totaling at least 12 credit hours in each of Years Five and Six of the program is considered for the Dean's Honor List in the Faculty of Law in each of those years on the basis of those courses. Dean's Honor list eligibility for Kinesiology in Years Five and Six will be determined by the School of Kinesiology. Eligibility to graduate with distinction for each degree is determined by each Faculty. Eligibility is determined by the regulations in effect in the Faculty of Law and the School of Kinesiology respectively. Students enrolled in the combined program may be eligible in Year Five or Six for an exchange program offered through either Faculty provided both Program Directors approve.